Italian glass car boot finds, or are they? Topic: Italian glass car boot finds, or are they? 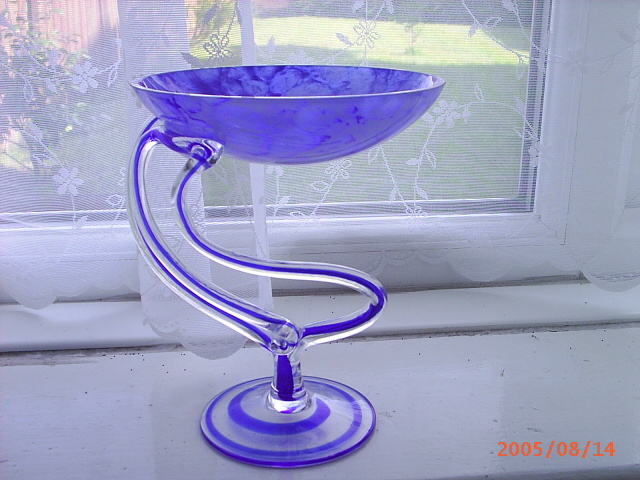 A similar Alrose vase is on Ebay, there is no label on mine. The bohemian urn has a lot of irregular scratches to the base if that's any help dating it. Shame there isn't any other way to date glass. The vase on ebay doesn't really look like the pieces in the Pina book in any case. There's the optic ribbing for one thing, and secondly the ebay one looks modern (i.e. new) to me. With luck someone on the Murano board will be able to help. Re: Italian glass car boot finds, or are they? Here's a selection of their glass. You might like to have a peek. Unless I'm very much mistaken, I'm sure there are a few in there that I've seen on this board. This glass seems to be common around my area. Here's another one that I've had. I knew I'd seen these before on a U.K. website - http://www.jazzitupjewellery.com/cat336_1.htm?source=overture Although it doesn't actually say where they were made. Its interesting that yours had a Cello sticker. I've got a large vase with a Cello sticker and haven't been able to find out anything about it. I came to the conclusion that it was most likely Polish. None of my items have a Cello sticker on them but I did see something like one with a Cello sticker on it. It may have been in a shop called "Collectables". It sells lots of things, not just glass. 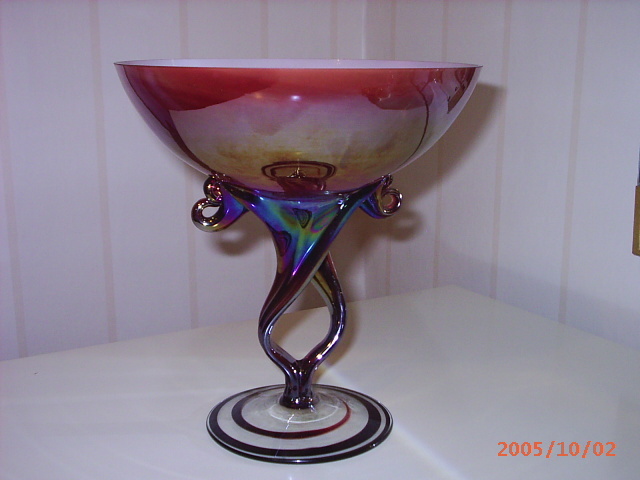 Just to add to the list, similar glass by Makora which is also in Krosno. 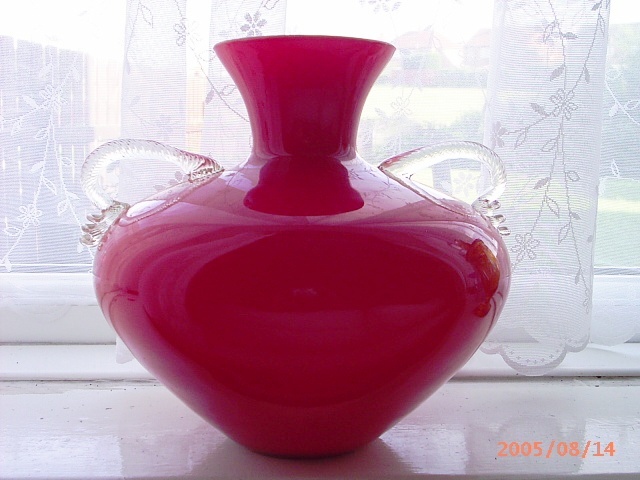 I've found a vase on ebay which is identicle in shape to my vase. I'm just wondering if anybody can identify the maker by the label? The glass flowers on the link Anne provided are Chinese. I received an e-mail from the manufacturer wanting me to carry them on my website. Go here and click on the colored glass links.